While it’s tempting to think of Samuel Johnson’s Eternal Return as a ghost story—albeit an unusual, even a weird ghost story—that would not do justice to this tale of a dead man who inhabits the bodies of one life after another in his quest to connect with his son. It’s a story that’s not the least bit eerie or frightening in the classic ghost story sense. Instead, it is sometimes tragic, other times offering social commentary, and often laugh-out-loud funny. When Samuel Johnson dies saving his four-year-old son from a gun-waving vagrant, he occupies briefly the body of his killer, and then inhabits one person after another as each one expires. Samuel is unable to shake loose the earthly bonds, just as he has no control over what lives he occupies, even though his one desire is to somehow get back to Unityville, Pennsylvania, and his son. Perhaps what is ultimately fortunate for Samuel, the people he occupies for the most part represent the dregs of society or those easily manipulated. This is because he develops a system to get back to Unityville with the help of another spirit, Phil, who is occupying the body of an unscrupulous woman with the unlikely name of Blossom. The plan generally involves getting the occupied person inebriated and then taking control of the drunk person to drive toward Unityville. Not surprisingly, this strategy fails a number of times, sometimes spectacularly, sometimes getting him tantalizingly close to his goal. Samuel, although frustrated, eventually learns to use this somewhat reprehensible technique to get the person he’s occupying to do other things, such as surf the Internet. 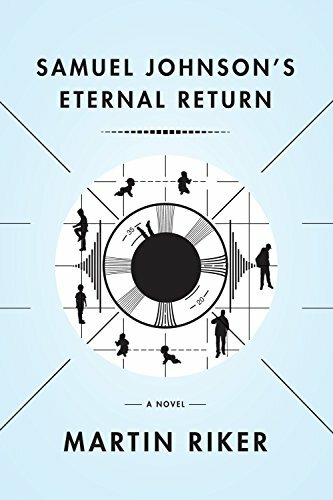 Samuel Johnson’s Eternal Return is highly creative, richly comic, and a compelling read, even if some of the characters are unsavory with lives far more depressing than the actual dead guy’s “life.” However, the reader comes to realize that these lives may be the sort that are necessary for Samuel’s journey. Another theme that is an interesting device, but is used to a degree that is questionable, is television. Samuel, in his brief lifetime, is fascinated by television, and he spends a good amount of time in his many recurrences watching TV via his inhabited person (particularly via an elderly woman Lillian who can do little else). With an unexpectedly satisfying end to a story that is, after all, about a sort of a Groundhog Day in the afterlife, Samuel Johnson’s Eternal Return is a worthwhile, thoughtful—and hilarious—read.